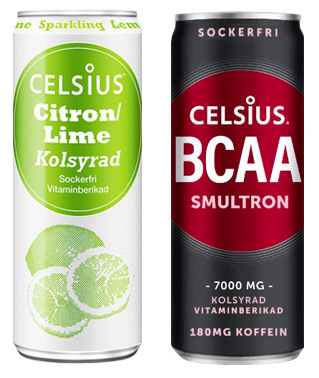 Celsius Holdings – Celsius Holdings, Inc.
Celsius Holdings, Inc. (NASDAQ: CELH), founded in April, 2004, is a global company with a proprietary, clinically-proven formula for flagship brand CELSIUS®. Celsius Holdings, Inc., has a corporate mission to become the global leader of a branded portfolio which is proprietary, clinically-proven or patented in its category, and offers significant health benefits. 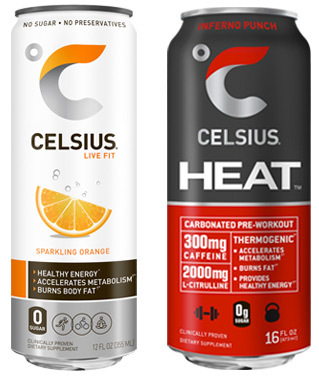 CELSIUS’ original line comes in seven delicious sparkling and non-carbonated flavors, and in powder stick packets which can be mixed with water. CELSIUS has no preservatives, no aspartame, no high fructose corn syrup, is non-gmo, with no artificial flavors or colors, and has no added sodium. The CELSIUS line of products is kosher and vegan certified, soy, gluten, and sugar free. 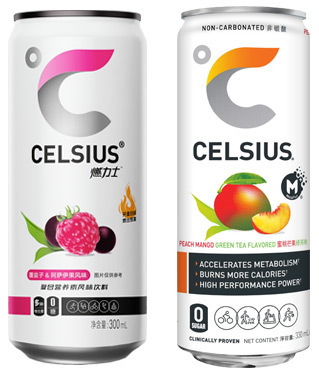 CELSIUS’ new natural line is available in six refreshing flavors (three sparkling): grapefruit, cucumber lime, orange pomegranate, and (three non-carbonated): pineapple coconut, watermelon berry and strawberries & cream.